Who doesn’t dream of a chef’s kitchen, a modern gourmet masterpiece. 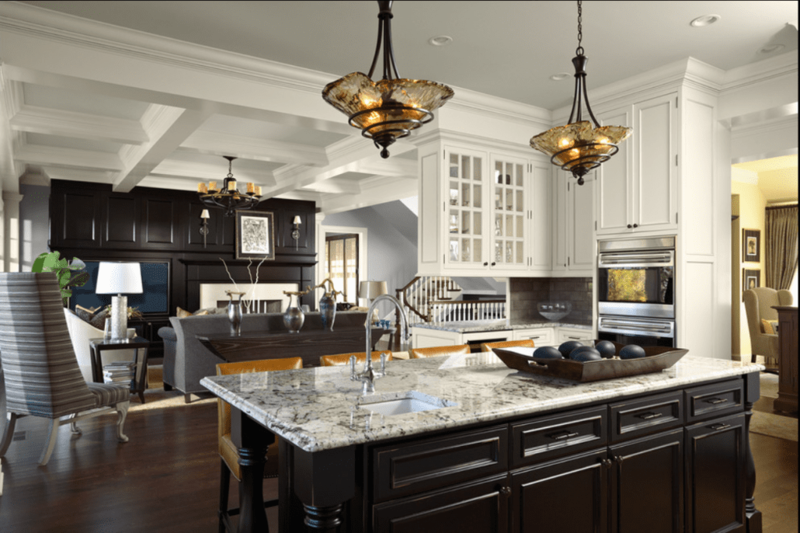 It all starts with cabinetry. 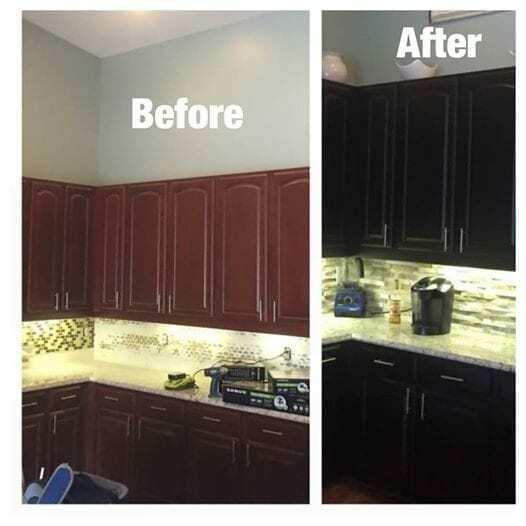 And no, you don’t have to spend thousands replacing old cabinets. Refinishing is an amazing way to get a fresher, brighter, more updated style without breaking the bank. We can make it happen! Our team first and foremost gets to work on a game plan. You don’t run the ball without first discussing it in the huddle. Most cabinet refinishing jobs take roughly only 3 days from start to finish. Now comes the fun part, taking down the cabinet doors and getting them ready for their brand new appearance. We will move them to our shop, where our crew will get to work—no worries, we promise to bring them back 10x better than how we found them! It’s all about finesse, knowing what works and what doesn’t. 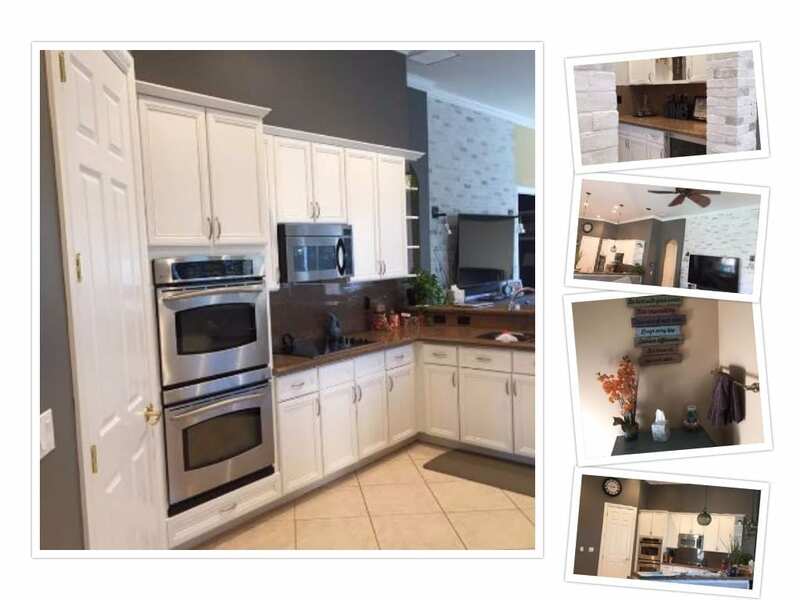 And when it comes to cabinet painting, let’s just say our skills and the absolutely gorgeous results speak for themselves. 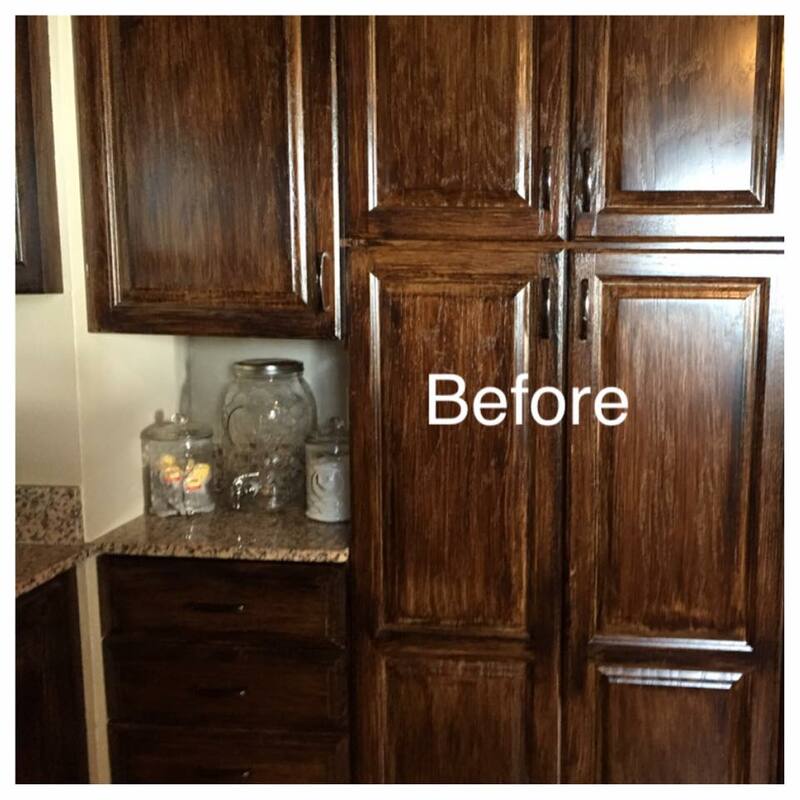 We use a roller that mimics a spray finish to paint the outer shell and facings of your kitchen cabinets. 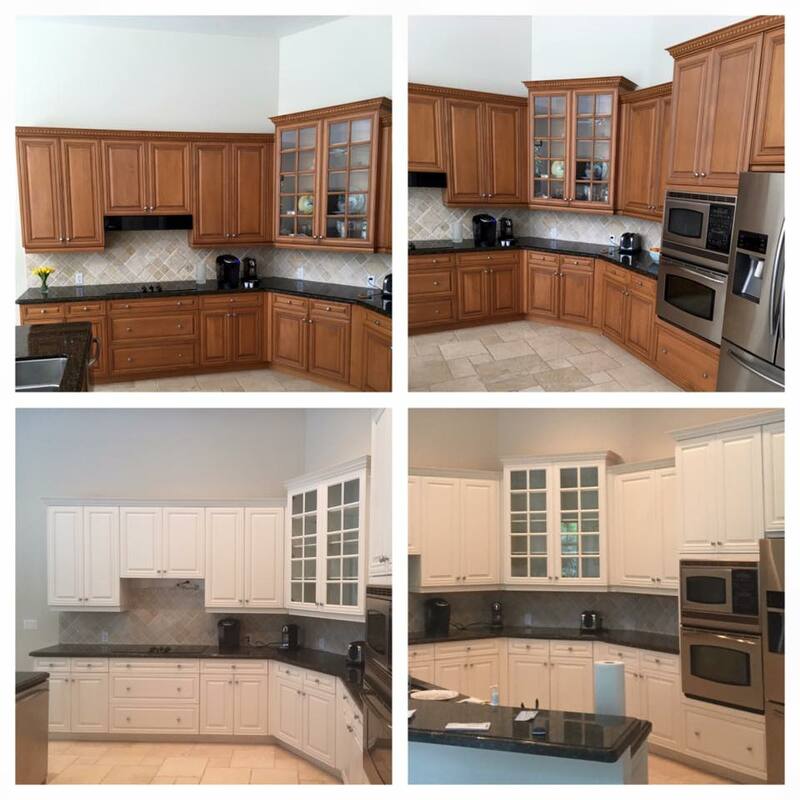 Now you finally have some cabinets that can turn heads; our design consultants will be happy to work with you on picking out brand new hardware and hinges once your doors have been reinstalled. 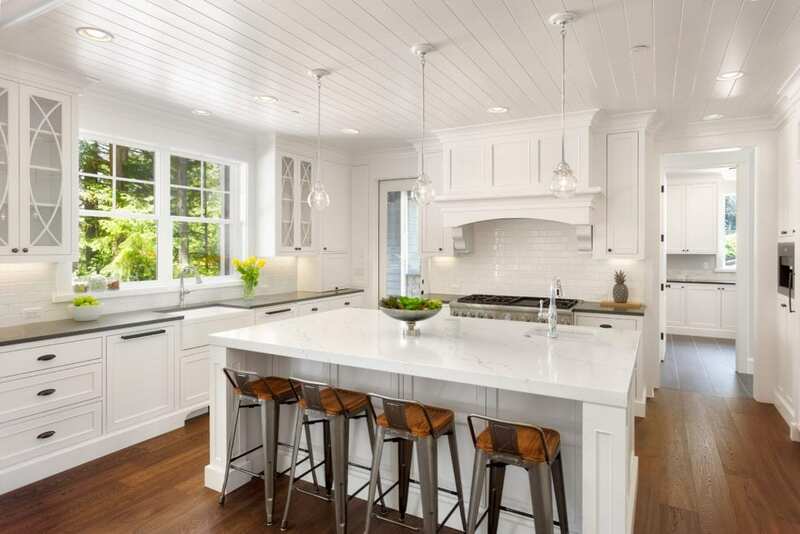 This is your kitchen after all—so let’s inspect it together. We want to make sure you’re head over heels in love with the fresh new look of your space! 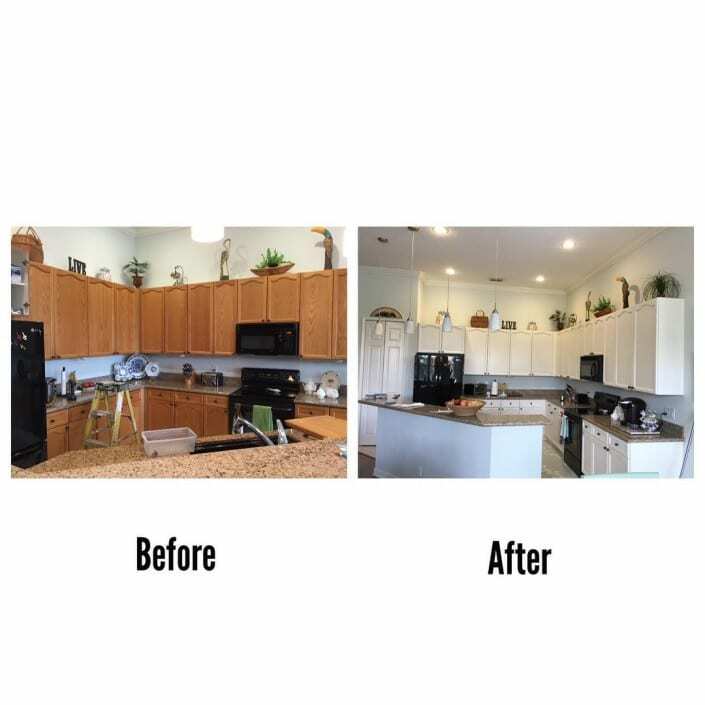 An unprecedented 3 year unconditional warranty–because we know how good our workmanship is, and we definitely know how much you’re going to love the new look of your cabinets. From lacquers to oil base paints to stains, and array of popular finish options, the Jaworski team never cuts corners–only the best materials available for our clients! That’s right, we make it easy! All of your belongings can remain in the cabinets and drawers during the entire process. You don’t have to move a single thing. 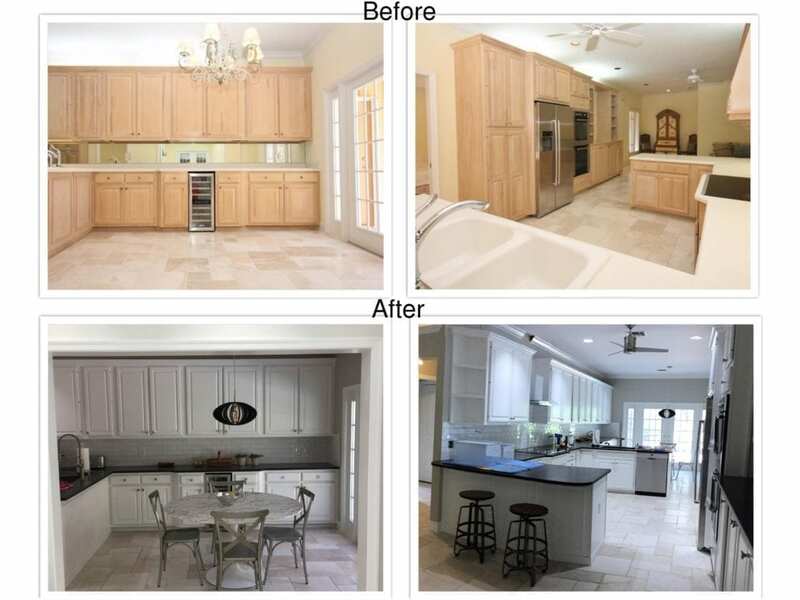 Professional Kitchen Cabinet Painting Services. 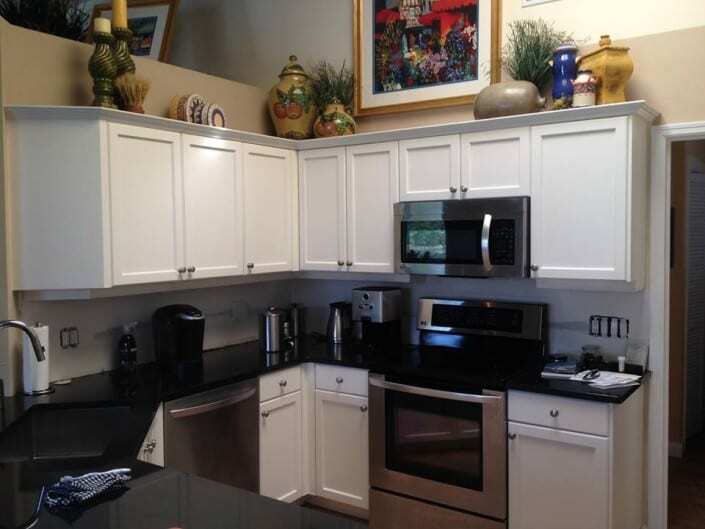 Conveniently located in Port Saint Lucie, serving the Entire Treasure Coast. Q.) Do I need to move any belongings inside my kitchen? A.) No, you don’t have to move anything. We use a liquid washing solution and moreover, we do not sand inside your home. Therefore, you don’t have to worry about any dust on your belongings. Q.) What type of paint do you use? A.) 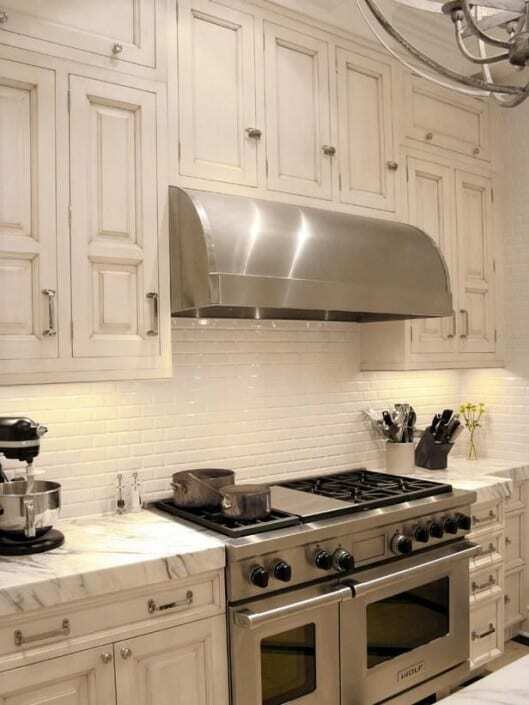 We exclusively use oil and lacquer based finishes. In addition, we’d also like to say that we use the best paints that are available in the market to achieve high-quality and long-lasting results. Q.) Do you brush, roll, or spray? A.) We actually use a combination of all the three methods. 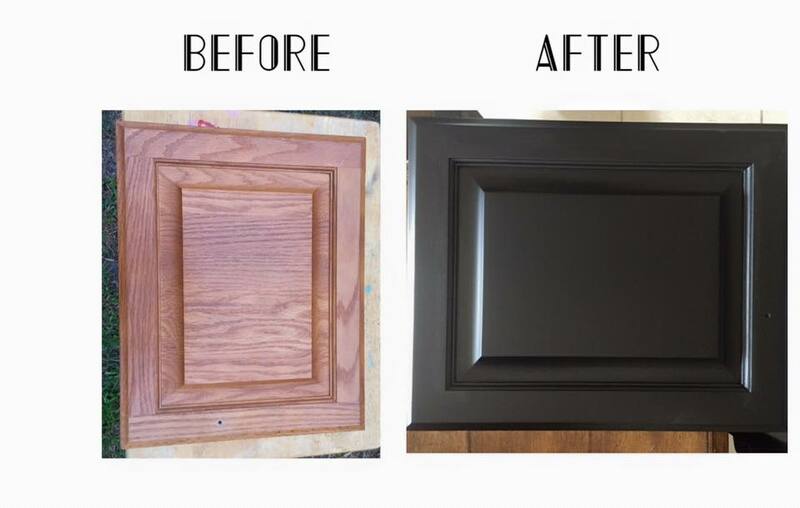 Your doors and drawers are removed and taken to our shop to be washed, sanded, primed, and spray-painted. Inside your home, we will use a brush and roller. We use a specialized paint roller to mimic a spray finish. 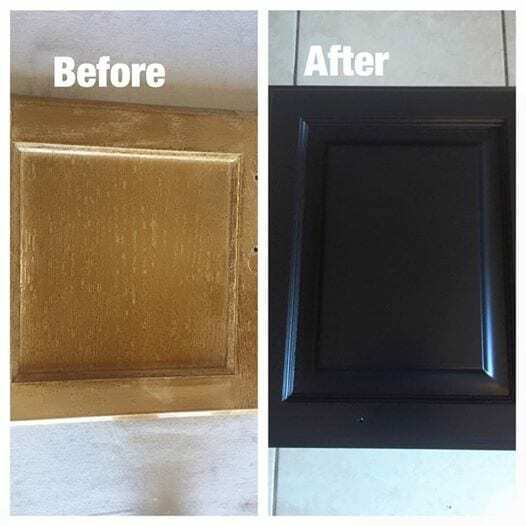 There won’t be much of a difference between what we spray at our shop, and the brush and roll finish we provide to the outer shell of your cabinets. Q.) 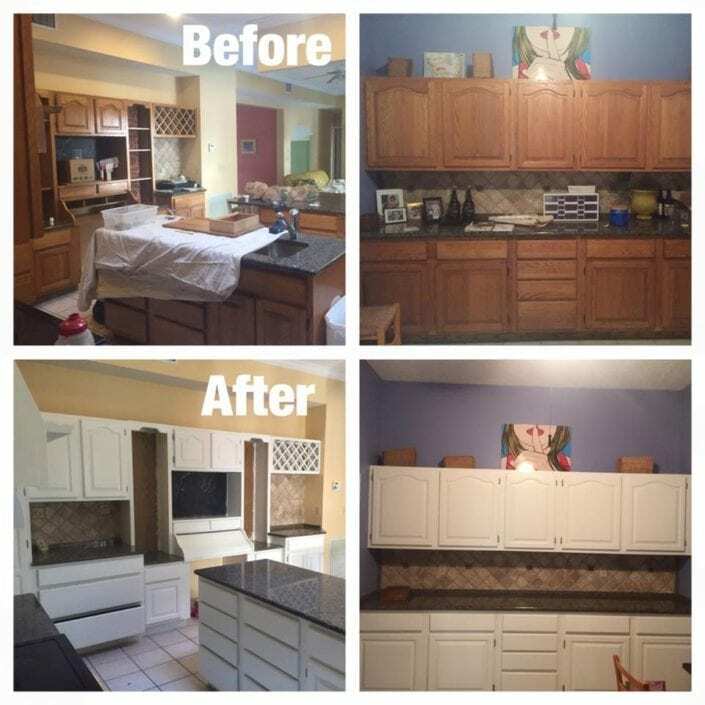 How long will it take for you to paint or refinish my cabinets? A.) 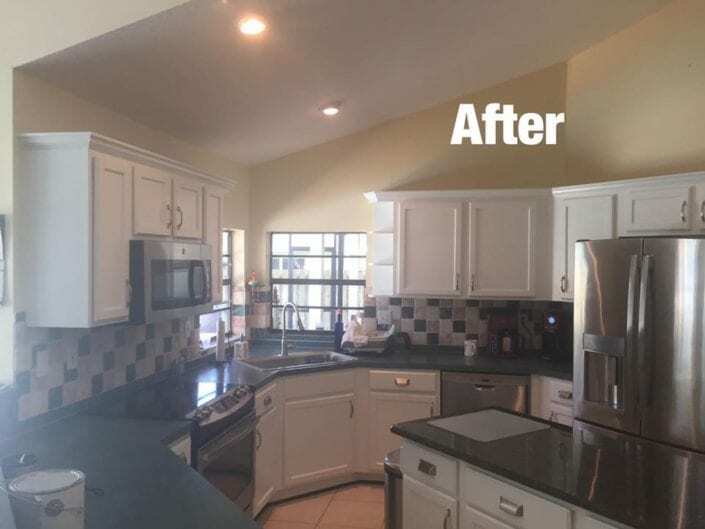 On an average, our typical kitchen cabinet painting and refinishing projects takes only 3-5 days from start to finish with very little time spent in your home. Most of the work is done at our shop itself so that you don’t have to deal with any hassle. Q.) Do I need to be home throughout the process? A.) That is completely up to you. You don’t need to be there while we are performing the work. Q.) What type of finish can I choose from? A.) The sky is the limit. 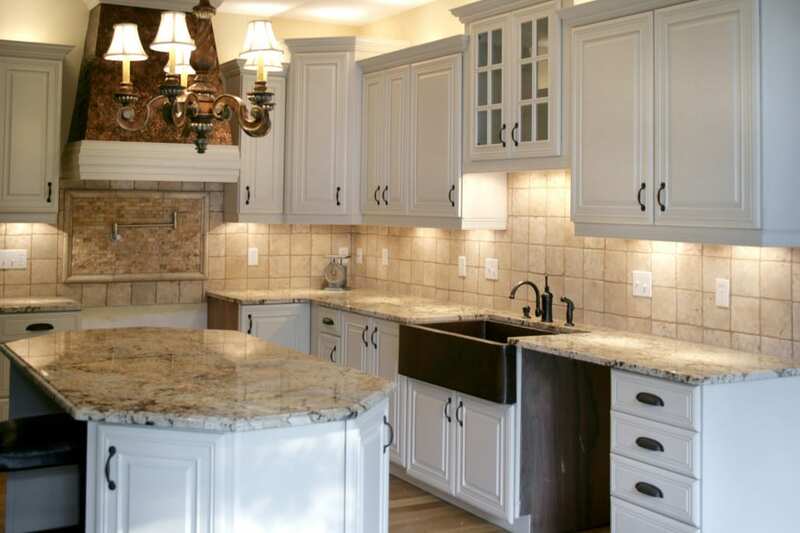 We offer a wide variety of styles and finishes for you to choose from. You can choose from any solid paint color you can imagine, to a custom stain match, to more of a custom finish such as; antiquing, distressing, and glazing. Q.) 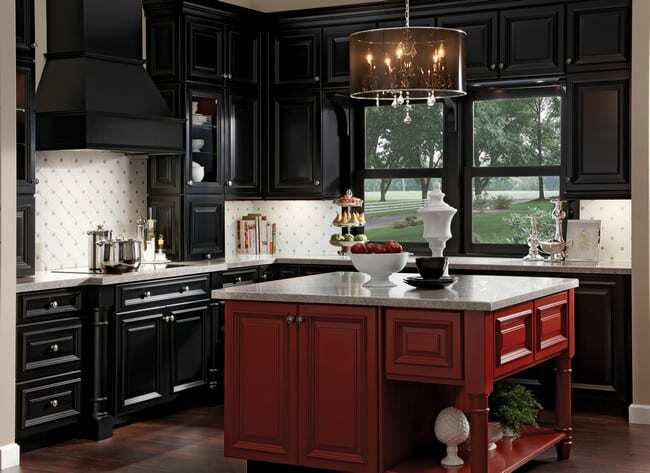 How do you determine the cost of painting kitchen cabinets? I’m worried that I might end up spending more than required. A.) At Jaworski Painting, we have been painting kitchen cabinets for over three decades. So, you can rest assured knowing that we will charge you a fair and reasonable price. We determine the cost by looking at the numbers of doors and drawers you have. 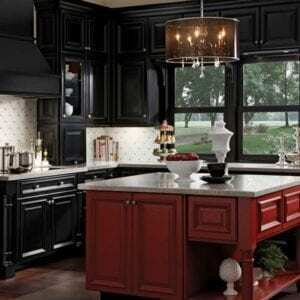 It also varies based on whether you have a wood finish or a laminate one. Besides, the style and finish you choose also determines the final cost. Q.) Do I need to do something to speed up the process? Thank you but you don’t have to do anything as we are here to take care of everything. Q.) We have kids at home and we’re worried about the smelly paint fumes. Is it dangerous? We complete most of the painting project at our shop itself so that you don’t have to deal with the smell of harsh paint fumes. Q.) I am wondering If I’m in your service area. A.) We service the entire Treasure Coast. 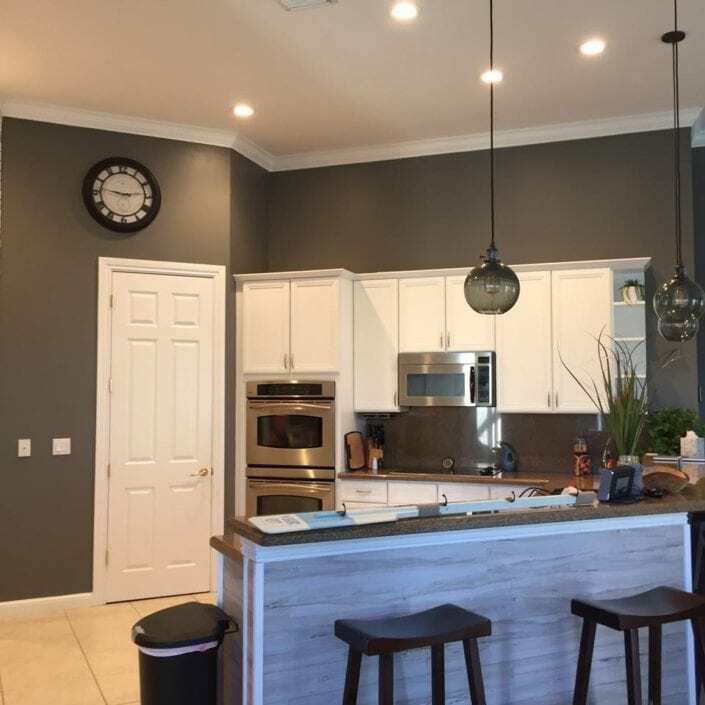 Vero Beach, Fort Pierce, Port Saint Lucie, Jensen Beach, Palm City, Stuart, Hobe Sound. Q.) I am not happy about something. Will you fix it? 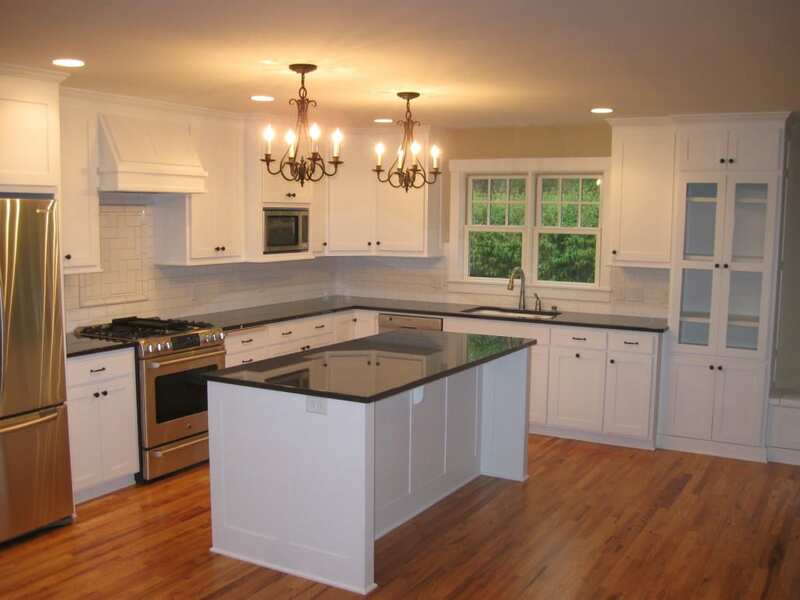 At Jaworski Painting, we are committed to 100 percent customer satisfaction. If you are not happy, simply let us know. We will do our best to take care of it. Absolutely fabulous from beginning to end!!!! 200% satisfied with how our interior walls and painted cabinets turned out! I couldn’t believe it when they put our old cabinets up after being painted. They look like they came straight out of the factory like that!! We will be calling you for ALL our painting needs in the future Matt. You have “forever customers” with us! Matt just finished painting my kitchen cabinets and they are BEAUTIFUL! I feel like I have a brand new kitchen at a fraction of the cost, mess and inconvenience. It was done over 3 days, a few hours each day, very fast. He works very neatly, efficiently and is a really nice guy! I highly recommend Jaworski Painting. Thank you for a great job! 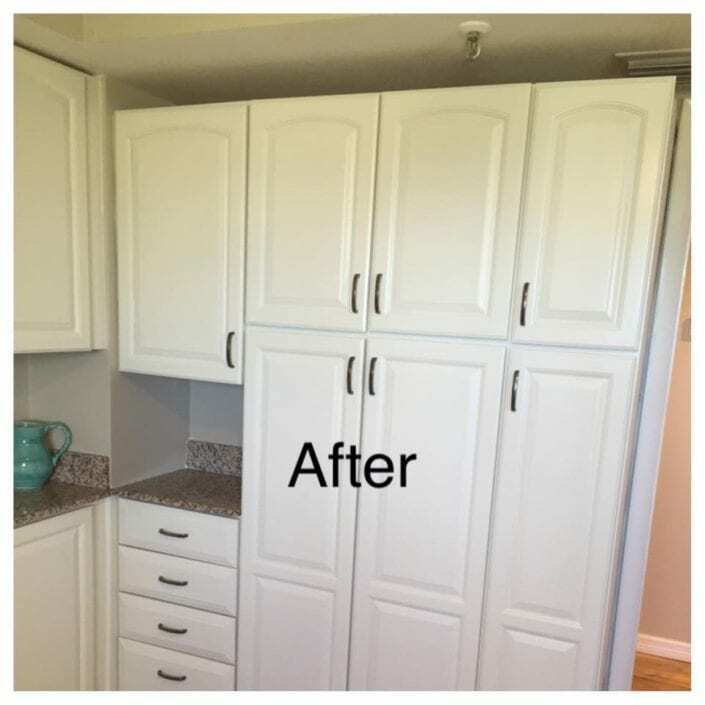 Matt and his assistant did a fantastic job painting our kitchen cabinets; he took great care in protecting adjacent areas; kept our inconvenience to a minimum; had a most pleasant attitude the whole time and finished the job on time, as promised. 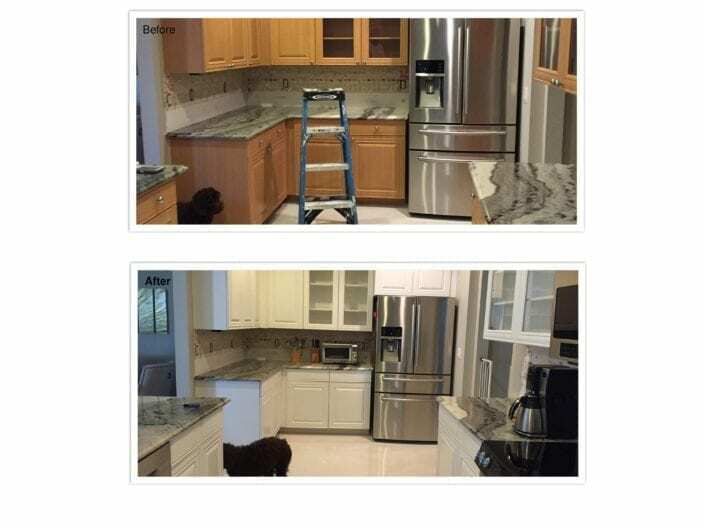 We are very pleased with the results and would highly recommend his services. 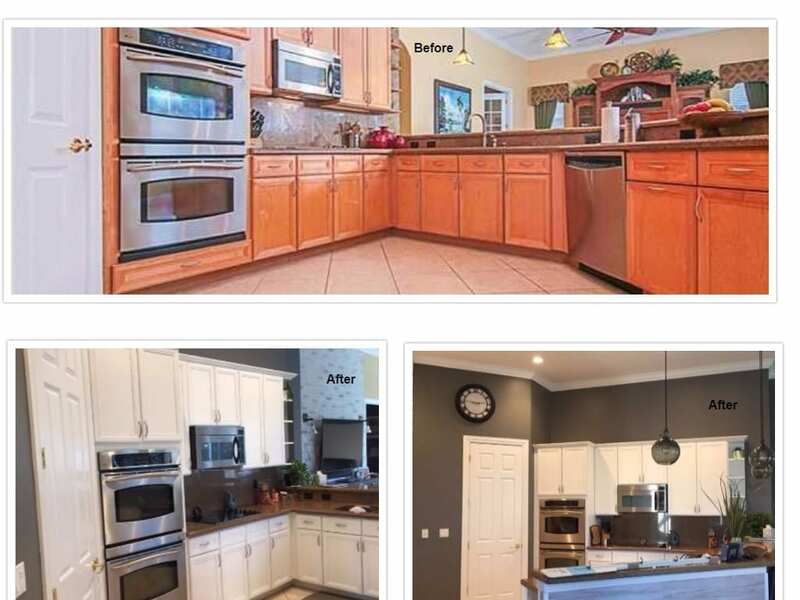 Call us today at 772.249.1478 for a free over the phone quote, or simply visit our free estimate page and schedule a consultation. 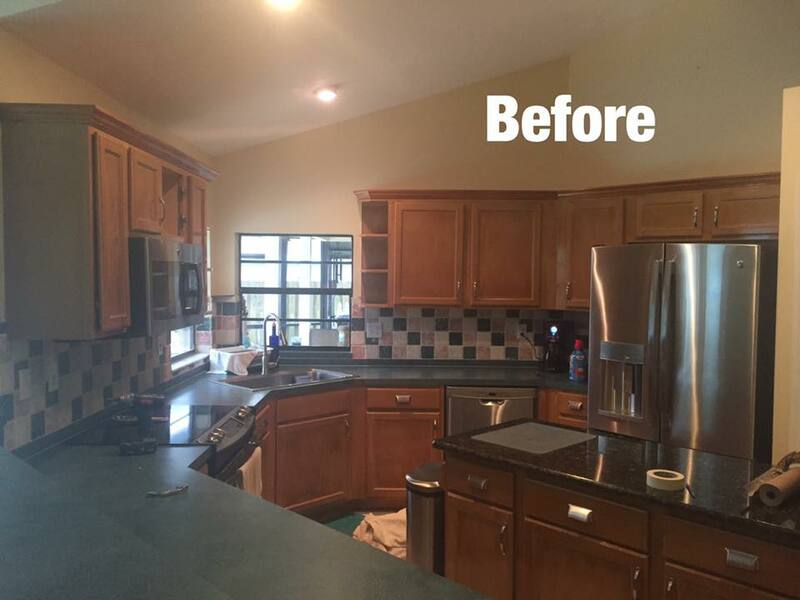 From drab kitchen to dream kitchen! Contact us today.